Shillong, February 05, 2019: Bottom-placed Shillong Lajong FC pulled off an upset victory at home over second-placed Churchill Brothers, thanks to a double strike from Samuel Kynshi and a winning strike from Naorem Mahesh Singh. As a result of the Lajong win, Chennai City FC remain on top of the 12th Hero I-League points table and upset the Goan side’s hopes of toppling them. 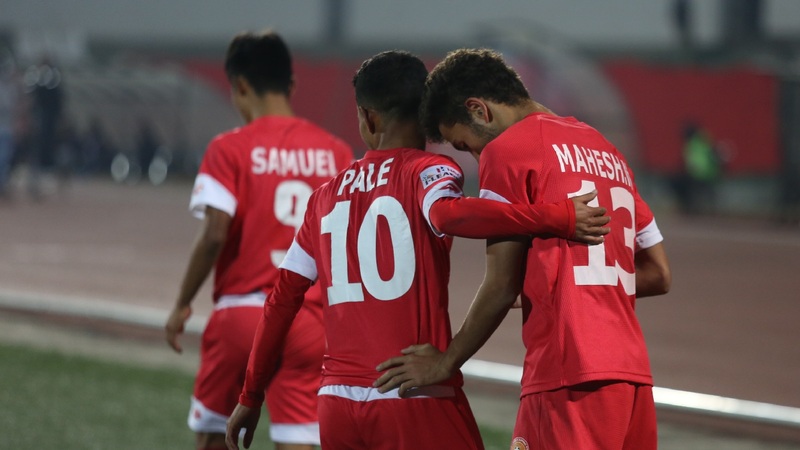 In a competitive encounter at Shillong’s JLN Stadium, the talented Mahesh scored his fourth league goal late in the second half to ensure Churchill remain on 29 points, a point adrift of Chennai, and in second place after 16 completed games. Churchill’s Romanian coach Petre Gigiu made three changes to his side from the last game, while Alison Kharsyntiew, the Shillong gaffer, made a couple as ironically, the scoreline read the reverse for them. The game began and continued at a fast pace in the first half. Shillong though took a two-goal lead into the break courtesy a double strike from Samuel Kynshi, who has been impressive right through the league campaign. He first took advantage of a Naorem Mahesh Singh run into the Churchill box from the right, who after swiveling past two defenders, released Kynshi square on his left. He controlled and with his first touch got away from his marker to make space and unleash a drive, which had power and a bit of placement. James Kithan could have done much better with the ball, which touched his gloves before going in. Just before the half-time whistle, Phrangki Buam was brought down inside the box by Rowlinson Rodrigues and Kynshi calmly converted for his second of the day. After the break, the mercurial Trinidadian Willis Plaza, top scorer in the league now by a distance, brought the visitors back into the game in the 53rd minute. He latched on to a Nicholas Fernandes cross from the left flank and connected with a volley to bulge the Shillong net and register his 17th goal of the campaign.